Kiasu has quite a following in London. Located in the secondary Chinatown that is Bayswater, it differentiates itself from its popular neighbours (Goldmine and Four Seasons are a few doors down one way, whilst Royal China and Mandarin Kitchen can be found down the other) by selling Straits food. 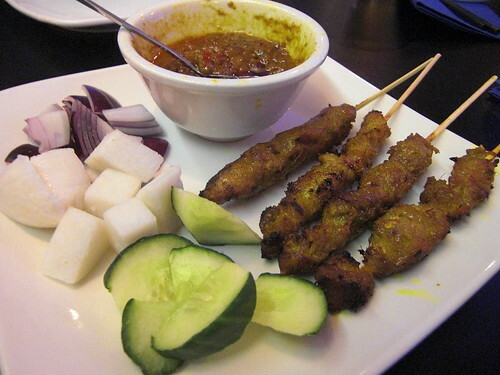 Originating out of Malaysia and Singapore, many of its dishes are based on hawker stall classics, where they often sell for no more than about a pound a dish. The prices are clearly not comparable here in London, but even so, each main comes to easily under a tenner. To give this place the once over, I brought two of the harshest critics of Straits cuisine I know, my parents. Both born and bred in Kuala Lumpur and brought up on char kway teow, prawn mee and nasi lemak, who better to judge whether the food was decent and, most importantly, faithful to true Straits food cuisine. 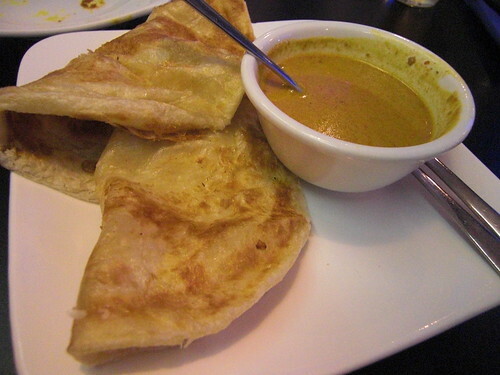 We started with some chicken satay and a rothi paratha, two staple roadside dishes. The satay were quite poor. Four paltry skewers of chicken, with inadequate spicing and a poor sauce. All the traditional accompaniments were there (such as onion, cucumber and pressed rice) but it felt like it had just come out of a packet. The roti, on the other hand, were very good. Crisp and compact, with a good homemade hot curry. Simple but nice. 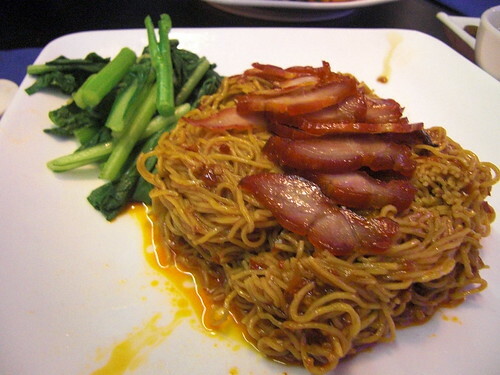 For my main, I ordered Ko Lo Mee. In truth, I didn't really know what I was ordering, I was actually expecting something slightly different. The char siu (barbecued pork) and won ton soup were there as expected (both of a high standard), but instead of the dry egg noodles with dark soy I was expecting, I got a claggy mess of overdone egg noodles steeped in a sweet chilli sauce, seemingly straight out of a bottle. It was horrible. I tried to eat this and failed. My parents mains were much more successful. My dads Char Kway Teow (essentially fried noodles) was superb. What's in it? There are probably too many bits and bobs to list them all here but my favourite bits were the generous amounts of Chinese sausage and the little nuggets of fried pork fat interspersed within the noodles, releasing individual explosions of flavour. If I had to fault it, the noodles were slightly greasy but that would be my only criticism. My mum went for another straits classic, Hainanese chicken rice, and this was probably as good as you are going to get in central London. 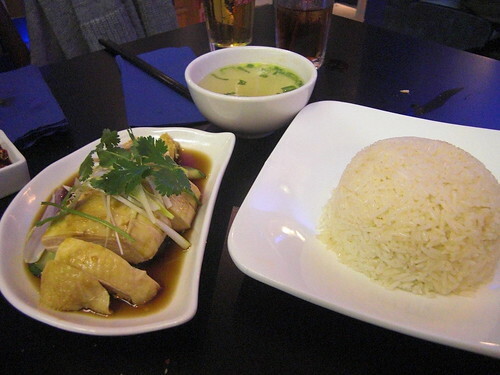 The rice was delicately flavoured with ginger and cooked in the chicken stock, with a light chicken broth on the side. The soya chicken itself was moist and was bursting with flavour, no mean feat considering the hard time chicken often gets for being a quite "generic" meat. I am torn by Kiasu. Some of the food was sublime whilst some of it was a horror show. And the service, don't even get me started on that. It was slow and we had to ask them for various missing dishes, numerous times. I know it was busy but that shouldn't be an excuse. "Kiasu" can be loosely translated as the fear of losing. I still think it has a long way to go to truly rule supreme in the London straits food standing. There are many pretenders to the crown including Rasa Sayang, Satay house and the newer chain, Jom Makan, to name just a few. I don't think it is quite "losing" but it has some way to go before it wins. @Su-Lin It was hit and miss but most of it was pretty good and definitely the best I have had in London. 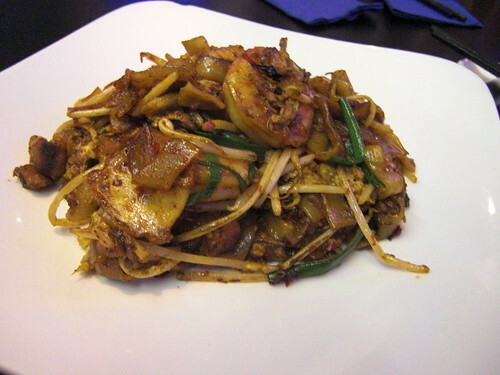 I had the char kway teow at Kam Tong (their sister restaurant I believe), and it was bland and also lacking in pork bits. It seems highly dependent on "the luck of the draw". Any better in your opinion? I had the char kway teow here about a month ago, and mine also had plenty of crispy porky bits. Really liked the tauhu goreng starter, too. @Su-Lin, as you may remember, I'm on a bit of quest to keep track of the ex-Oriental City stallholders... the Kiasu connection is bit confusing, though, didn't the Bayswater restaurant open at least a year before Oriental City closed? i dunno abt tastes, but compared to what u can get in malaysia, its like a total failure from the pictures.. 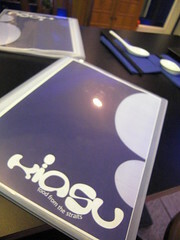 I need to come back here to try some of their better dishes, esp the chix rice! As good as it gets in CL is high praise. Straits food in Bayswater has been a hit and miss for me and by the looks of your review, I think I may have to look elsewhere in Perth for a good fix then. Sometimes it is just so hard to find a good somewhere to eat eh?